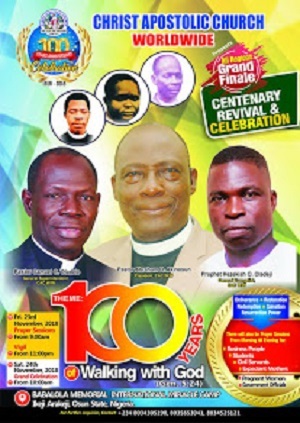 It is no longer news that Christ Apostolic Church Easter Retreat pamphlet is now on sale. What could be news to you is how to get the pamphlet for yourself or your church. 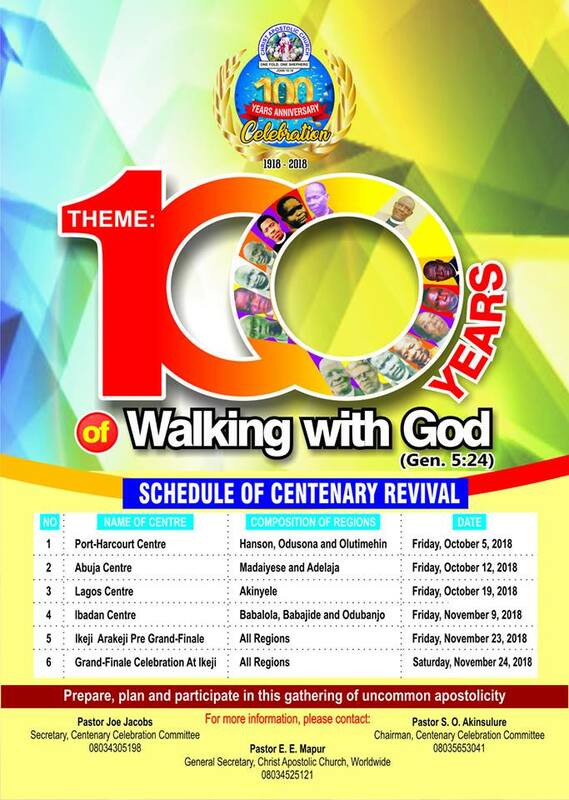 You can get the pamphlet at the the Youth Office, CAC General Secretariat, Bashorun Ibadan. You can also call 08061195959 to book for the pamphlet. We learnt that each copy of the pamphlet goes for #250 (adult) and #150 (children). 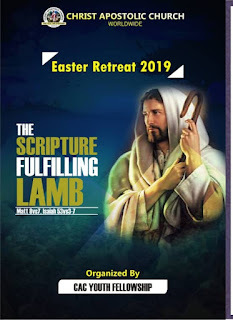 CAC News gathered that the theme of the retreat is "The Scripture Fulfilling Lamb." 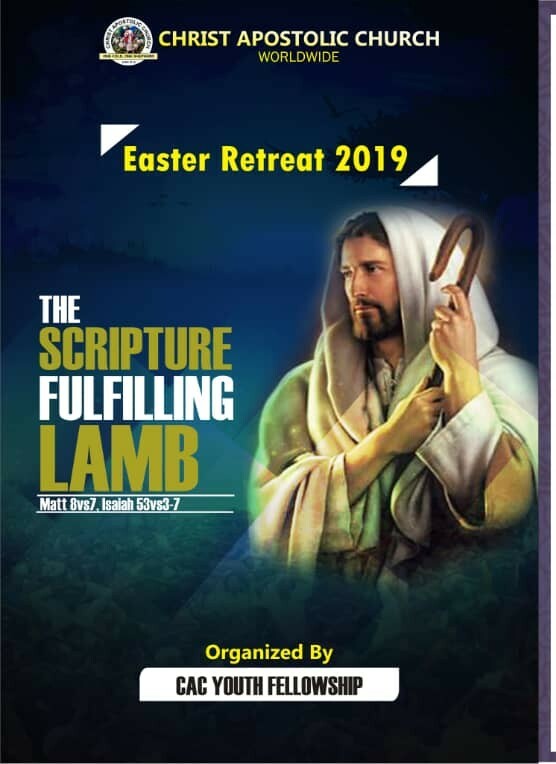 Please sir\ma is there PDF for the 2019 youth easter retreat program, if there is, how can i get it? This is my WhatsApp number, if there is please kindly send it to me 09039364256, thanks, God bless.